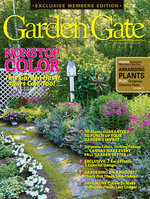 This important info will help you choose the best plants for your garden. Why do plants at the garden center, uniform in size and blooming at the same time, look different than the ones you start at home? These results can be from the use of plant growth regulators (PGRs) — chemicals that produce specific responses, such as rooting, branching or flowering. Most are synthetically produced. In the photos at left, you can see how PGR application affects the same cultivar of petunia. With no PGR, the top petunia will cascade, providing a more natural look. 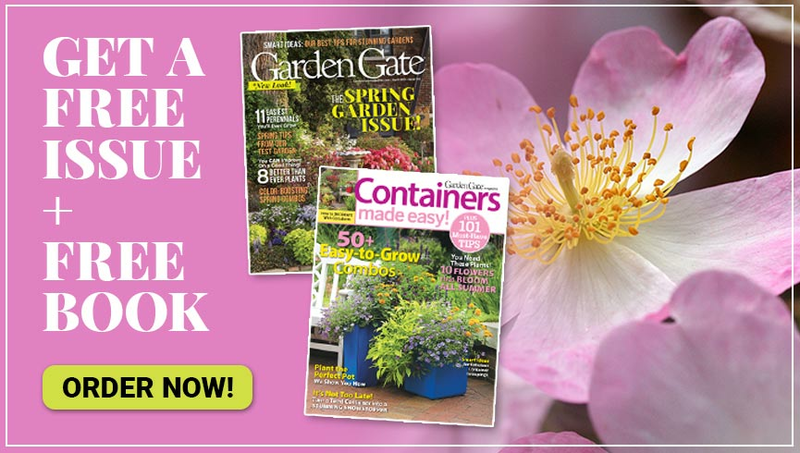 It may require pruning later to keep it full and blooming at the top. 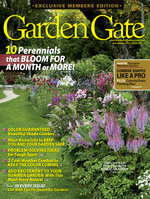 You might prefer this one if you want to cover more space in a flower bed. The bottom petunia has been treated with B-9 to make it more compact and full. 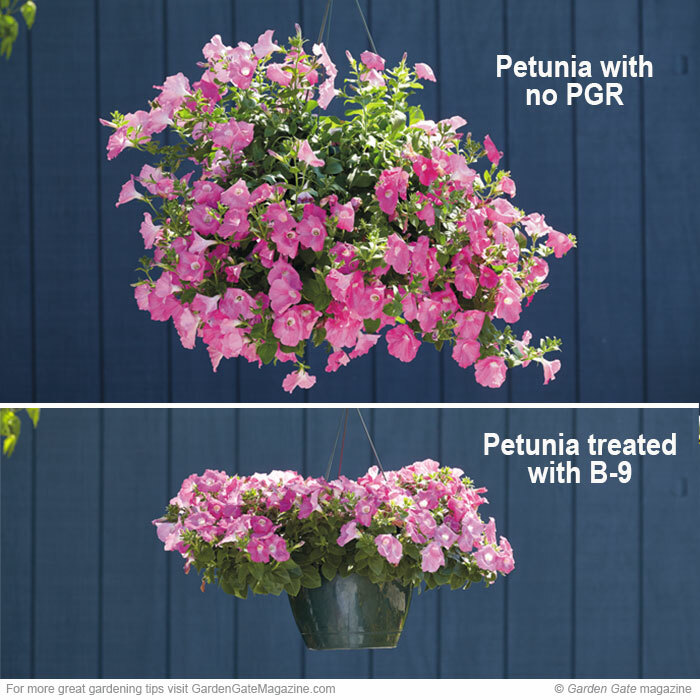 Though the PGR’s effects will wear off, it will never grow as big as the petunia on top, but that makes it a good choice for a low-maintenance hanging basket. PGRs are covered by the same regulations governing pesticides, but if you’re a strictly organic gardener, be aware of their use and shop at local growers where you can ask about usage.